Pros of this kind of configuration: One single SSID for clients and seamless roaming. 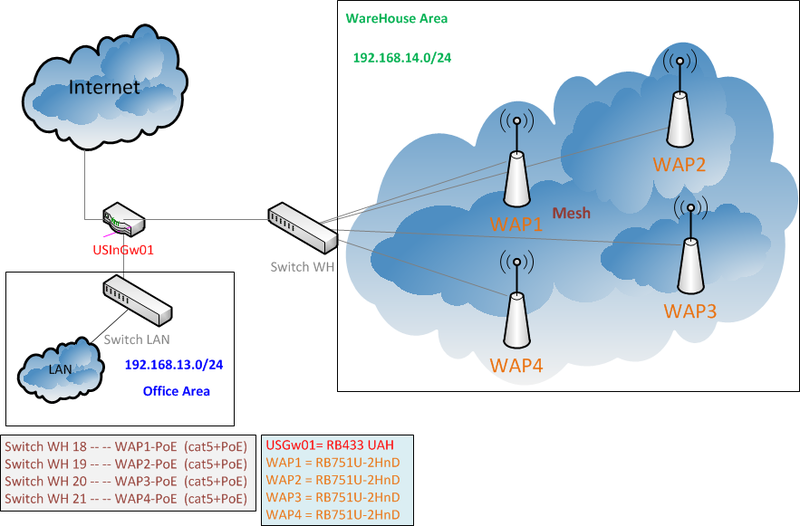 Here is the complete configuration example of a wireless network based on Mikrotik mesh with all Router OS code ready to copy/paste into terminal. 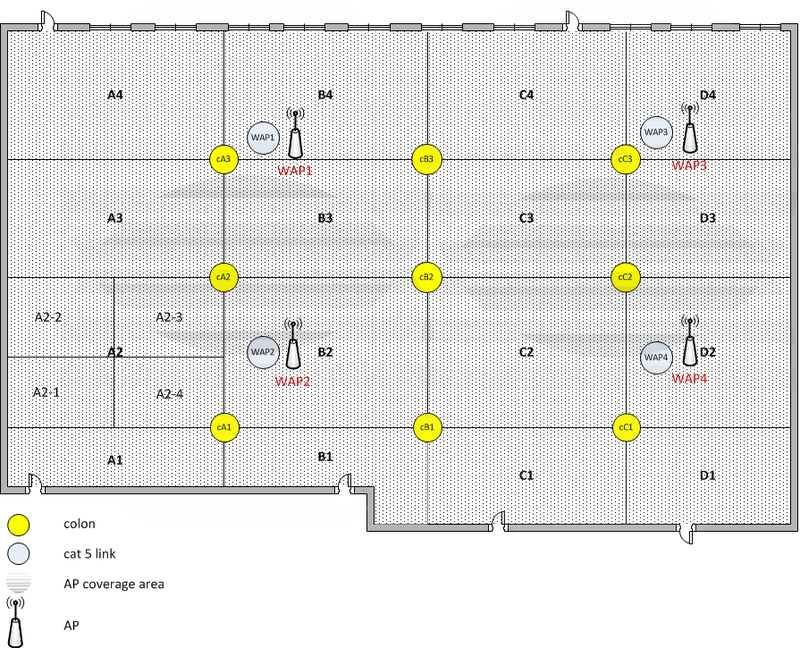 Example shown here is purposed for wireless scanners inside a warehouse. We use USGw01(RB433UAH) for Internet access of entire office(Office Area). 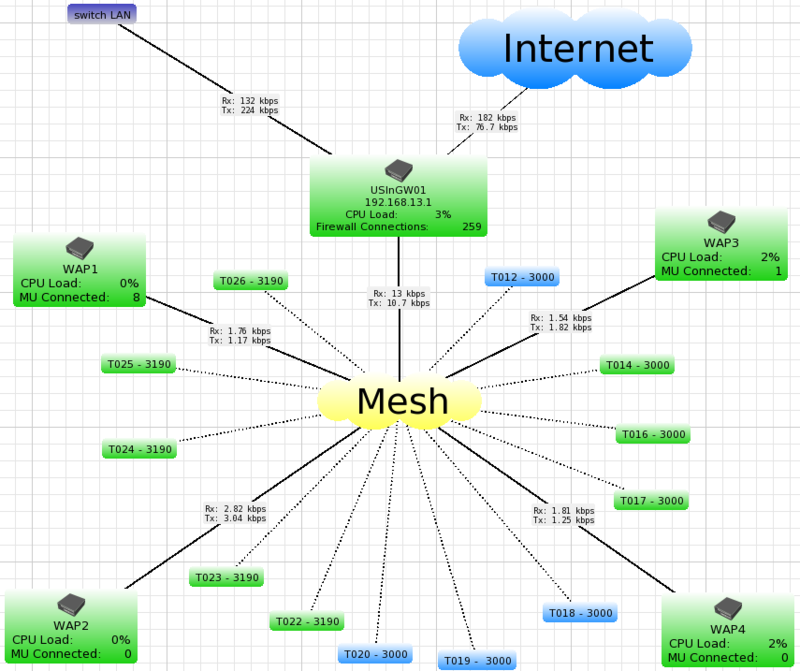 USGw01 also used for Mesh Setup as DHCP Server and Firewall. On warehouse we use Wireless Barcode Scanners - Symbol MC3090 as wireless clients. They are working only with server in LAN(Office Area). Scanners should have access only for DNS server(for name resolving) and for WarehouseServer. 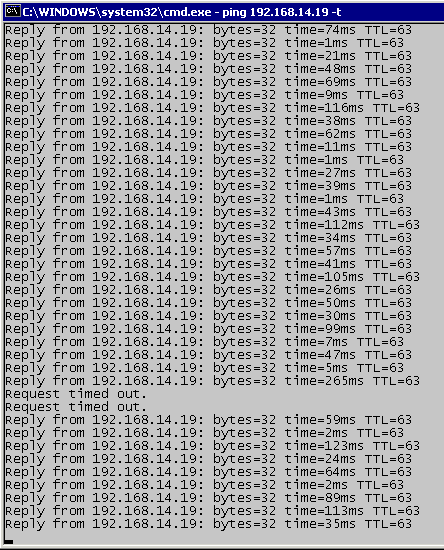 All WAP have Static IP. All Scanners have Dynamic IP obtained from DHCP Server(USGw01). In this setup Wireless security settings are not described. And you will get network secured only by MAC. If you want to secure your WAP by authentication you should create an appropriate security profile and assign it to your WAP interface - on all WAP. ip dhcp-server lease add address=192.168.14.231 mac-address=00:00:00:00:00:01 server=warehouse-dhcp-server lease-time=0 address-list=US-WH-Scanners disabled=no comment="Scanner T001"
ip dhcp-server lease add address=192.168.14.232 mac-address=00:00:00:00:00:02 server=warehouse-dhcp-server lease-time=0 address-list=US-WH-Scanners disabled=no comment="Scanner T002"
interface wireless access-list add disabled=no authentication=yes forwarding=no interface=wlan1 mac-address=00:00:00:00:00:01 comment="Scanner T001"
interface wireless access-list add disabled=no authentication=yes forwarding=no interface=wlan1 mac-address=00:00:00:00:00:02 comment="Scanner T002"
/user group add name=monitoring policy=winbox,read comment="Group for monitoring purpose"
/user add name=dude password="********" group=monitoring address=192.168.13.1/32 comment="User for Dude monitoring"
interface wireless access-list add disabled=no authentication=yes forwarding=no interface=wlan1 mac-address=00:00:00:00:00:03 comment="Scanner T0XY"
ip dhcp-server lease add address=192.168.14.2zz mac-address=00:00:00:00:00:03 server=warehouse-dhcp-server lease-time=0 address-list=US-WH-Scanners disabled=no comment="Scanner T0XY"
Clients see only one network with SSID Mikrotik-Mesh and they don't know anything about 4 AP. Scanners are Motorola Symbol MC3100. Very low traffic from scanners. Scanners have access only to DNS and Web servers in LAN. Hopefully this will be useful for someone. Original article on forum here.